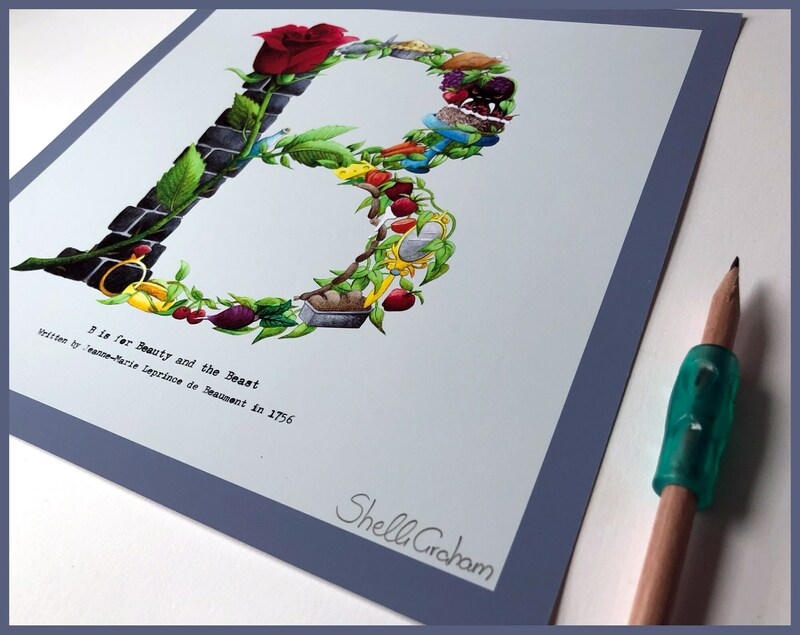 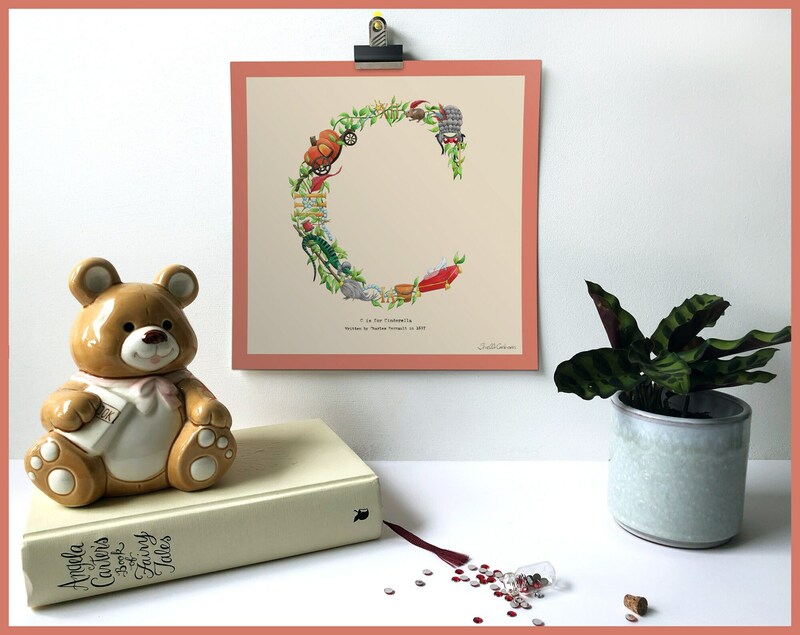 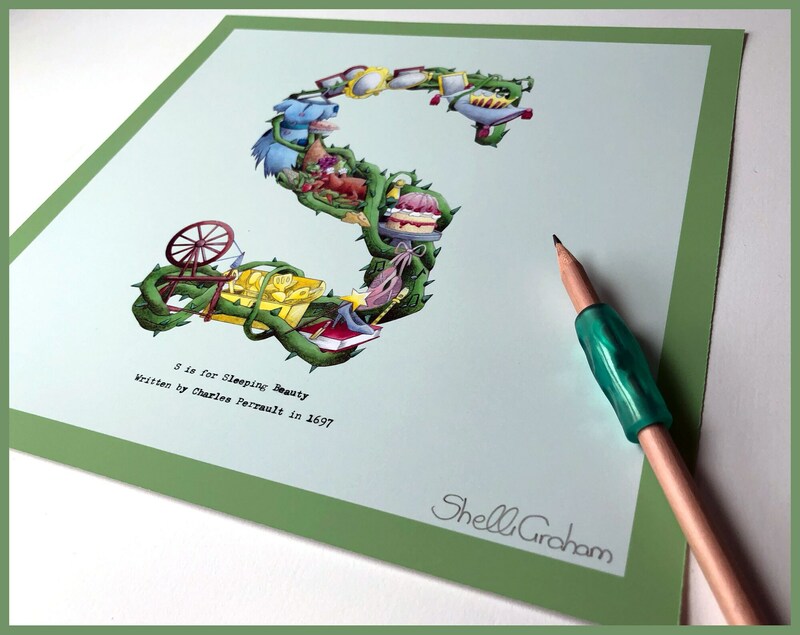 Whether you're looking for a gift for a new baby, Christening, Birthday or Christmas, these alphabet letter prints will be enjoyed by children (and admired by adults) for years to come. 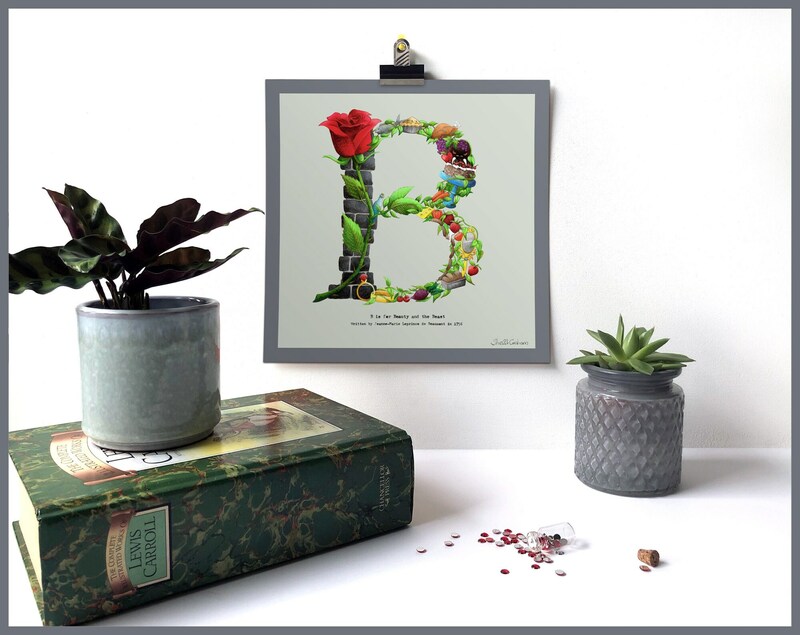 Each letter in this series pays homage to a fairytale beginning with the same letter. 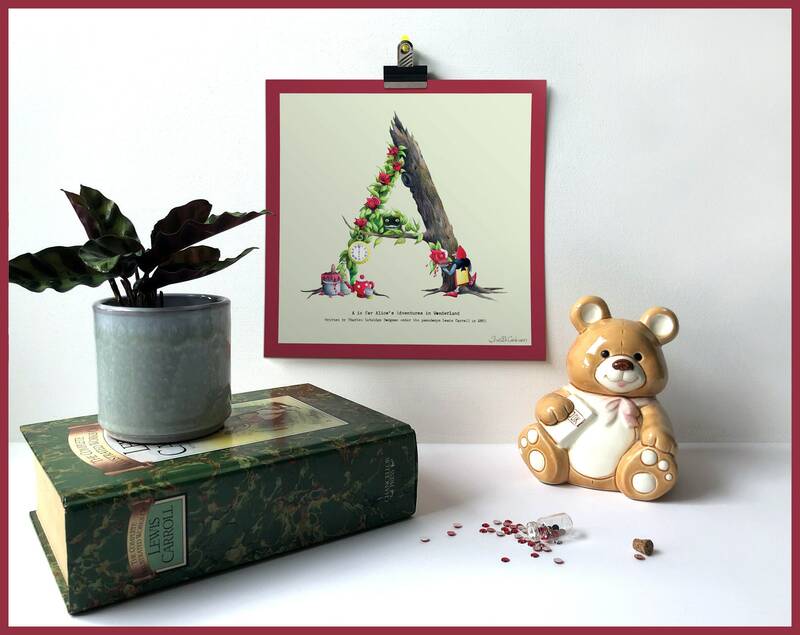 A is for Alice's Adventures in Wonderland, B is for Beauty and the Beast, C is for Cinderella... All of my illustrations are printed onto high quality archival paper (240gsm) and each print comes signed. 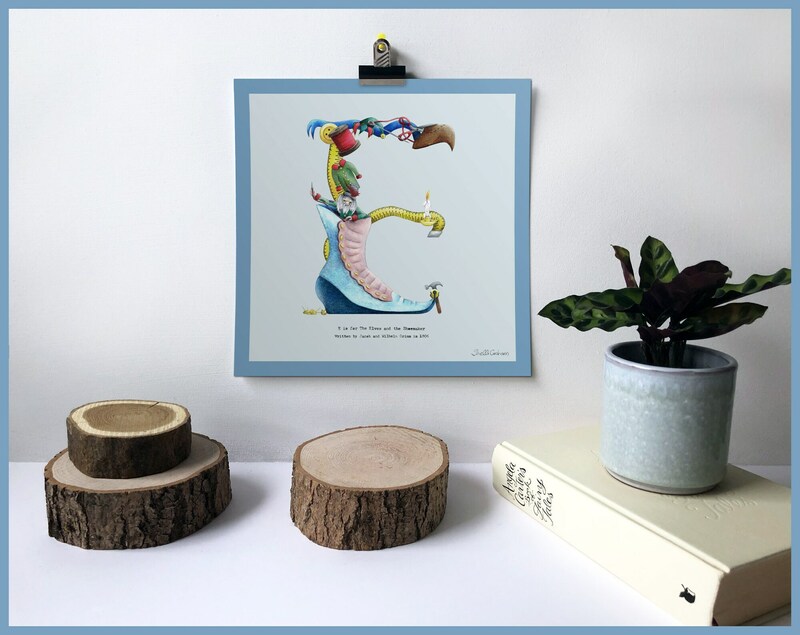 I use the finest quality inks and paper to deliver beautiful, vibrant art work that lasts. 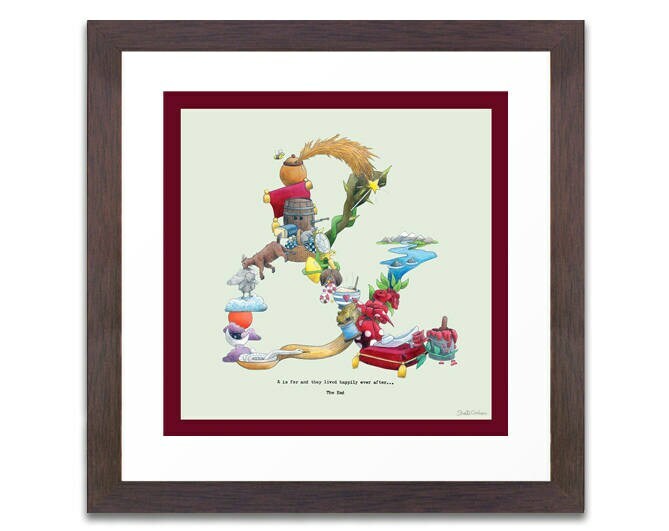 Prints fit a standard 10" x 10" frame, making perfect wall art for any nursery, kids’ room or classroom. 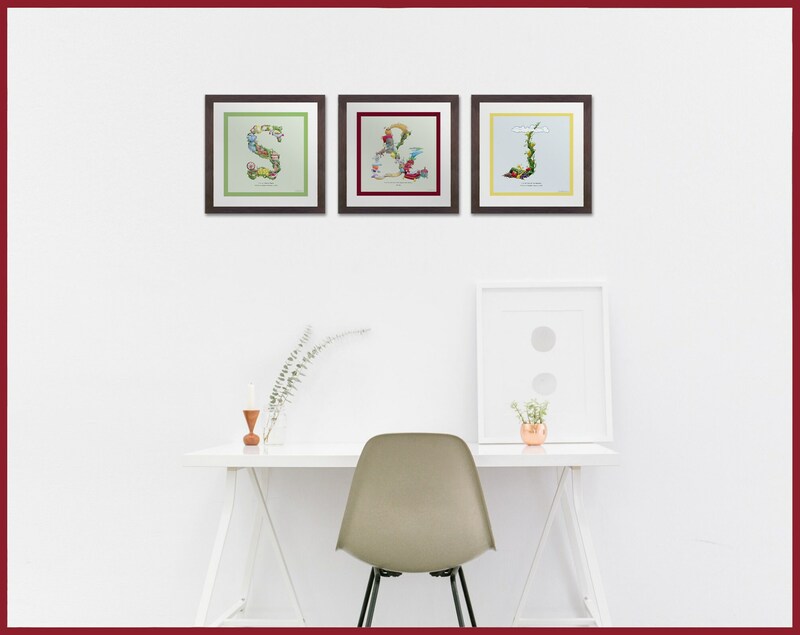 Please note: frame is not included, the framed image is an example only.